The key art for season 4 of Outlander is finally here! It shows Jamie (Sam Heughan) and Claire (Caitriona Balfe) standing on a cliff’s edge looking out at their new world in America. Outlander will air its season 4 premiere on Starz on Sunday, November 4 at 8 PM. New Show Introduction: Mayans M.C. 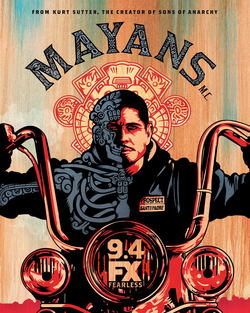 The new FX drama Mayans M.C. will debut on September 4 at 10 PM. Set in a post-Jax Teller world, Ezekiel “EZ” Reyes (JD Pardo from Revolution and The Messengers) is fresh out of prison and a prospect in the Mayans M.C. charter on the Cali/Mexi border. Now, EZ must carve out his new identity in a town where he was once the golden boy with the American Dream in his grasp. The large ensemble cast includes Edward James Olmos (Battlestar Galactica), Sarah Bolger (Once Upon a Time and Into the Badlands), Michael Irby (The Unit and True Detective) and Danny Pino (Law & Order: Special Victims Unit) [among many others]. 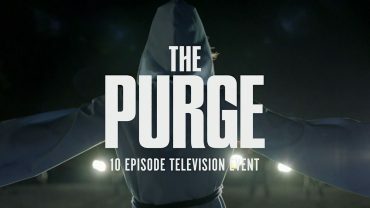 On September 4, the new USA Network drama The Purge will debut. Based on the hit movie franchise and set in the same universe, this one-hour dram will follow several seemingly unrelated, conflicted characters as they prepare for a 12-hour period when all crime – including murder – is legal. The cast includes Colin Woodell (The Originals), Amanda Warren (Roman J. Israel, Esq. and NCIS: New Orleans), Jessica Garza (Six), Hannah Anderson (Killjoys and Shoot the Messenger), Gabriel Chavarria (East Los High), Reed Diamond (Marvel’s Agents of S.H.I.E.L.D.) and William Baldwin [among others]. 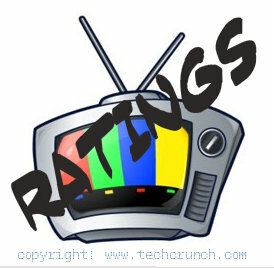 The primetime landscape last night on the major networks was filled with reality and repeats, but one Thursday night drama aired back-to-back new episodes – unless you live in Los Angeles where those airings were pre-empted for football [and I’m guessing that might have been the cast in a few other markets across the states]. Comic Con 2018 was held in San Diego from July 18 through July 22. Our very own Dominick Dusseault was on site during the big fete, hitting up the larger panel rooms to snap as many pictures of the annual fete as possible. What is to follow below (and over the course of the next week or so) are just some of the fantastic photos he took during the annual event. * Please note that Take Two will not air tonight, as ABC is airing football instead. Check your local listings as there is a good possibility that two episodes will more than likely air on Friday, August 31 in the earning AM.